Haverlin’s Hot Take: Hemric’s debut, Harvick or Kyle Busch, & Cup-less Xfinity fields? RICHMOND, Va. — Leading up to the race weekend at Richmond Raceway, there were a few storylines that had us talking. The Dash 4 Cash returns to the NASCAR Xfinity Series for the second consecutive weekend, and that means there won’t be any Cup Series drivers in the field. Also, Richard Childress Racing’s Daniel Hemric makes his Cup debut in the No. 8 Chevrolet at the 0.75-mile track. 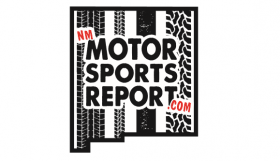 The car number hasn’t been in a race since it belonged to Earnhardt Ganassi Racing in 2009 when Aric Almirola finished 33rd in the Samsung 500 at Texas Motor Speedway. Finally, who has the edge in the championship hunt, Kevin Harvick or Kyle Busch? 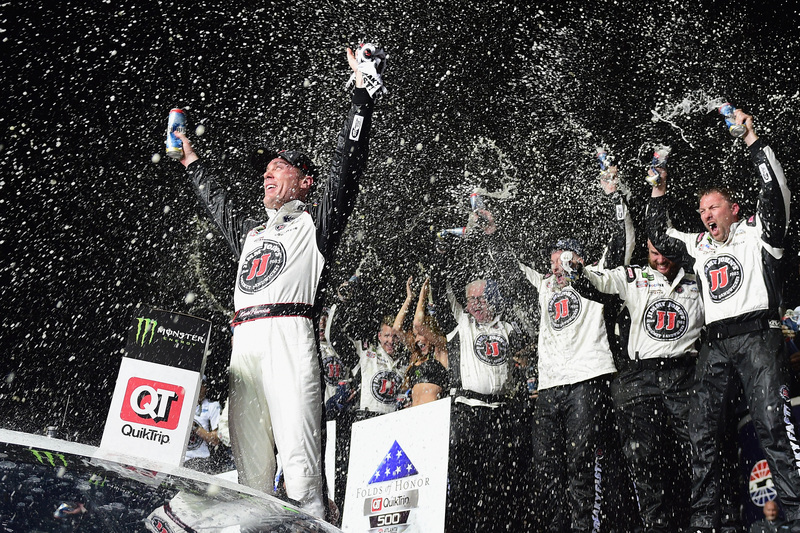 Busch leads the standings, but when Harvick gets hot, there’s no stopping him. Should Cup drivers race in lower levels? It feels like a weekly debate. Actually, it is a weekly debate. At Bristol Motor Speedway, the first Dash 4 Cash Xfinity event of the season took place, and Ryan Preece won the $100,000 prize. The race was entertaining, and we saw someone different in Victory Lane. Most fans would say that’s a good thing. If you ask an Xfinity regular if they prefer racing with Cup drivers, most of them would say they like it because they’re learning how to compete with the best stock car racers in the world. But do all of them REALLY feel that way? Probably not. They’d rather win a race than finish second to someone like Kyle Busch or Brad Keselowski, who have already championships in multiple series. After all, they’re racers — they only want to win. On the other hand, some Cup guys say it helps them to run at a lower level. Racing Saturday gives them a better idea of what to expect on Sunday. Busch has said this multiple times. Kyle Larson will race anything with a motor, so he enjoys the double duty too. Ultimately, what the fans want is what should be. The Xfinity Series is branded as the place where “names are made,” but almost every weekend, the 20-something-year-old driver who is yet to race a Cup car is getting beaten by a guy who has been a Cup regular for years. Time to ban Cup drivers altogether? Probably. Daniel Hemric might be the best NASCAR driver who is yet to win a race in any of the top-three series. In 2015, Hemric drove the No. 14 NTS Motorsports Chevrolet in the Camping World Truck Series. The team, which no longer operates, was a small-budget organization owned by Bob Newberry. Hemric managed to score four top-fives and 13 top-10s in the 23-race schedule and finished seventh in the standings. That caught the attention of Keselowski, who owned a two-truck team at the time. The 2012 Cup champion hired Hemric to be the full-time driver of the No. 19 Ford, and he earned a top-10 in all but six races during the 2016 season. The following year, Hemric joined RCR as the driver of the No. 21 Chevrolet. Hemric nearly won the 2017 Xfinity title. He was one of the Championship 4 but had a mechanical failure early in the season finale at Homestead-Miami Speedway. If Hemric finished better than the other three championship-eligible drivers, he would have been the first driver in NASCAR history to win a national title without winning a race. He’ll run double-duty at Richmond, and he’s good enough to be a Cup regular. Hemric has carried the flag for RCR since he joined the team last year and is currently second in the Xfinity standings. It’s only a matter of time before he’s on-track every Sunday. Kyle Busch or Kevin Harvick? Harvick won three consecutive races after the Daytona 500. Busch has won the last two events. They’re up front every weekend, but does one of them have the edge? Kyle Larson says Harvick is faster. He believes if “Happy” had his primary car at Bristol, he would’ve been a contender for the win. “I still think the No. 4 car is quite a bit better,” Larson said. “I think you can call the No. 18 second-best. … At Bristol, you don’t really know how he would have been if he was in his primary car. He could have been up there. I guess his teammates were in backup cars as well or had to fix damage at some point. Could someone other than Busch or Harvick be better? Martin Truex Jr., the defending champion, has endured bad luck the last two races, but he should certainly be in the conversation. Also, Team Penske is strong, although not necessarily dominant, everywhere. The Penske trio of Joey Logano, Ryan Blaney, and Brad Keselowski are yet to win in 2018, but it’ll come for them sooner than later. Logano or Keselowski have advanced to the Championship 4 in three of the last four years.